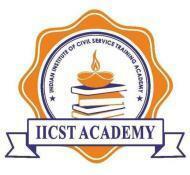 IICSTA is a Premier Institute for Coaching UPSC/KPSC Aspirants. It is first in the entire country to offer comprehensive training for aspirants starting from the first year of Pre-University itself, right up to the final year of their degree so that they are ready to appear for the Civil Services Exams soon they complete their Graduation. Students from both Technical and Non-Technical streams of academic study can avail of the opportunity to join. Aspirants, who have already completed their degrees (both UG/PG), and those in other professions will also be coached to succeed in the Civil Services Exams. Indian Institute of Civil Service Training Academy conducts classes in KAS (Prelims and Mains) Exam Coaching and UPSC Exams Coaching. It is located in Kuvempunagar, Mysore. It takes Regular Classes- at the Institute.